You are viewing the Gary Russell tag archive. Finding themes in YA fiction that go along with the maker movement wasn’t as easy as I thought it would be until I thought bigger and stopped limiting myself to duct tape. When I did that I found a bunch that I thought might spark some interest in doing with teens. I also found some nonfiction titles, too, to get us all started on the doing! 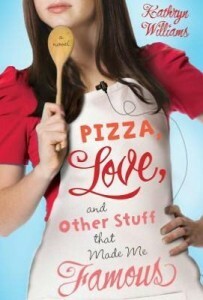 Pizza, Love, and Other Stuff That Made Me Famous by Kathryn Williams follows sixteen-year-old Sophie from the kitchen in her family’s restaurant in Washington, D.C., to the set of â€œTeen Test Kitchen,â€ a new reality show about teens cooking that her best friend has convinced her to audition for. Is Sophie ready to compete with her cooking, though? Hopefully growing up in the family restaurant will have been enough training! Although Pizza, Love, and Other Stuff That Made Me Famous includes recipes, there are lots of teen oriented cookbooks out there. 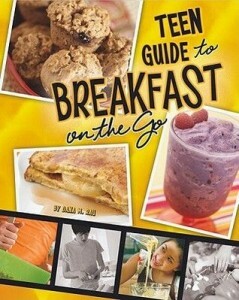 A Teen Guide toâ€¦ cookbook series by Dana Meachen Rau covers everything from Breakfast on the Go to Quick Healthy Snacks, and includes safety tips, conversion charts, and tons of tips throughout. Even I can cook using these, and I once tried to microwave a frozen noodle dinner for seventeen minutes instead of seven!